The Ultrac Vorti is an Ultra High Performance tyre in the absolute top segment of the market. 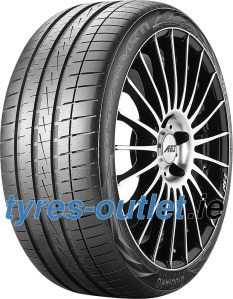 The tyre was developed in close collaboration with the Italian design company Giugiaro, and its slimline design and asymmetric profile give this tyre an extremely sporty and unique appearance. The tyre excels in terms of grip, handling, comfort and braking behaviour on both dry and wet road surfaces. By making use of innovative technologies, the tyre is also surprisingly quiet. The Ultrac Vorti is also available in rear axle sizes with an adapted profile and specially-tailored structure, especially for sports cars that have different tyre sizes on the front and rear axle. 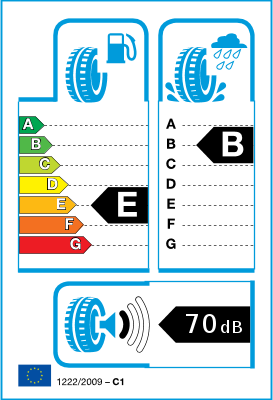 Due to the fact that it is the front tyres that dissipate the majority of the water when the road surface is wet, the focus for the rear tyres was on increased grip and stability. Excellent tyre all round. I previously only purchased Continental whichare excellent also but the Vreds is as good if not better. Its marginal but the Vreds are cheaper and therefore my preference. Good replacement for Bridgestone Potenza. Big difference over the Bridgestone Potenza original fitment tyres, very quiet and loads of grip, a very attractive looking tyre too, I've noticed a slight advantage in fuel consumption as well, all in all very pleased with the performance and price.